Envision your new glasses in a way you’ve never imagined! 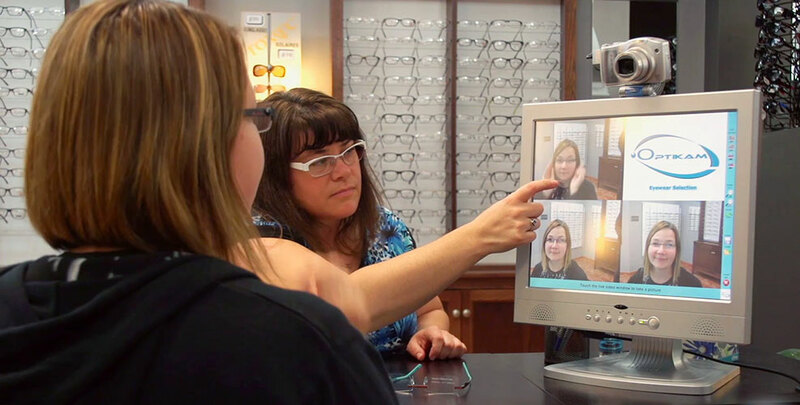 Fashion is important, so if you have difficulty visualizing what your new frames will look like (because you need the prescription to see), we have a computerized camera system called Opticam that can show you. Opticam will show your new frames from various angles, and show you how thin your new lenses can be with the thinner, lighter materials that are available. If your glasses are broken or missing, or you would like new lenses in your current frame, we can help. With our lens edging equipment, many prescriptions can be completed in a fraction the time. Plus if you want new lenses in your current frame, but can’t function for several days without them, once your lenses arrive, we can change your lenses while you wait in our lab. Now that’s convenient!